To determine the incidence of cardiovascular collapse in children receiving intravenous (IV) amiodarone and to identify the population at risk. A multicenter study of patients ≤ 18 years of age who received intravenous amiodarone between January 2005 and December 2015. A retrospective analysis was performed to identify patients who developed cardiovascular collapse (bradycardia and/or hypotension). Of 456 patients who received amiodarone, cardiovascular collapse occurred in 47 patients (10%). Patient risk factors for collapse in a univariate analysis were as follows: age < 3 months (p = 0.04), depressed cardiac function (p < 0.001), blood pressure below 3rd percentile (p < 0.001), high lactate at baseline (p < 0.001). Administration risk factors included bolus administration (p = 0.04), and bolus administration over ≤ 20 min (p = 0.04). In multivariate analysis, age, baseline blood pressure less than 3rd percentile, and rapid bolus delivery were independent risk factors for cardiovascular collapse in the study group. The mortality rate was significantly higher in the collapse group (28% versus 8%). 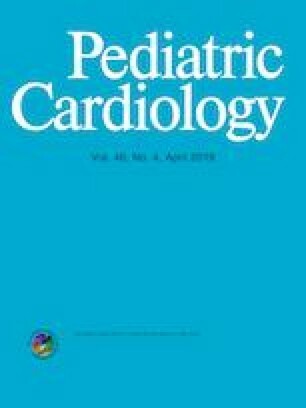 We found an association between IV amiodarone administration and the risk of developing cardiovascular collapse in a significant subset of children. Extreme caution and careful hemodynamic monitoring is recommended when using IV amiodarone in this population, especially in young infants, hemodynamically compromised patients, and in patients receiving rapid amiodarone bolus administration. None. There are no relationships with industry. This study was approved by the review board at each participating center.